Is Chris Christie too overweight to run for president? From many recent accounts, New Jersey Gov. Chris Christie seems ready to cannonball into the presidential race. If he does enter the field, he’ll be a top contender from the get-go—more polished, perhaps, than fellow candidate Rick Perry, and more likable than Mitt Romney. But over at Bloomberg, Michael Kinsley reminds us that there’s an elephant in the room. Can Christie really come in like an 800-pound gorilla? Or are his chances slim? Everyone’s saying it, the man has a big problem: He’s kind of overweight, like Huckabee-fat, but minus the successful diet (or was it crypto-gastric-banding?). Get ready for another helping of fat politics in America; it’s time to weigh in. Can a porky pol be president? The more fat jokes you can fit into your column, the more points you get! When Christie ran for governor of New Jersey in 2009, the weight debate played out in two modes, one descriptive and the other prescriptive. First question: Does girth matter in the voting booth? As I wrote at the time, the previous year’s presidential election played out along party waistlines: John McCain carried 16 of the 20 fattest states in the union, while Barack Obama prevailed in 17 of the 20 thinnest states. Kinsley doesn’t think a fat candidate would fly in any context, though. Christie’s common-man physique won’t endear him to the common man, since the common man aspires to be thin. Christie may have beaten out a lean Jon Corzine, but, as Nate Silver pointed out, one-quarter of the nation’s governors in that year were visibly overweight, compared with two-thirds of the nation’s voters. OK, let’s discuss. Is it really easier to lose weight than it is to quit smoking? Consider the means: Someone who wants to give up smoking can quit cold-turkey, but someone who wants to stop overeating must confront his “addiction” multiple times per day. Research on tobacco suggests that something like 5 percent of nicotine addicts can stop using without any help; counseling and drug treatments can push that number up into the teens. That may not sound so promising, but when compared to the numbers on weight-loss, quitting cigarettes might seem like a cinch. Some people can and do shed pounds by the dozen, but they almost always gain them back. 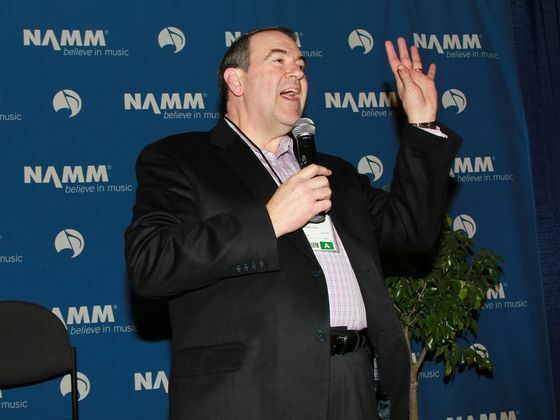 (For reference, see the photo of a recently re-inflated Mike Huckabee in Jonathan Chait’s fat-politics post.) There’s a reason we have a robust, $60-billion industry in diet and weight-loss in this country, while one-third of the population remains obese. That’s not to say that people can’t eat healthier foods, exercise more, or otherwise improve their long-term health in spite of their weight. But once you’re fat, it’s almost impossible to get much thinner and stay that way. I don’t know if a fat man can be elected president. But if it turns out that he can’t—because Americans are too ashamed of their own flab, or too prideful over being thin—that’s not his problem. It’s ours.